Provide comfort for the family of Jeannine Cooley Rogers with a meaningful gesture of sympathy. Jeannine Cooley Rogers, age 84, longtime resident of Marion, died Monday, February 4, 2019 in Decatur, Georgia. She was born in Bessemer, Alabama to parents Hazel Bearden Cooley and Avora Clay Cooley, and lived her early years in the rural “Lacey’s Chapel” community of Jefferson County, Alabama. Jeannine was taught to read at home by her mother before beginning school in a “one-room schoolhouse” that accommodated multiple grade levels. She was recruited by her teacher to help instruct other students in reading, which began her lifelong love of teaching. Jeannine often recalled a prized birthday gift received at age 6, a chalkboard, hung by her father in their large kitchen pantry, which transformed that space into her “classroom” where she enjoyed playing “teacher.” When she was in third grade, her family moved into the neighboring city of Bessemer so that she and her sister Dana could attend city schools. Jeannine particularly enjoyed the challenge of teaching the fundamentals of grammar and composition to students during junior high, a time when many students have a hard time appreciating the importance of learning effective oral and written language expression. 0ver the years, she received many unexpected hugs or well written notes from former students expressing their gratitude, an experience that all dedicated teachers greatly cherish. She was married for 50 years to her husband James, who she initally met while a senior at Judson. They had two sons Hal and Andy. 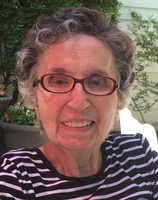 Throughout her life, she served in leadership roles in a number of professional and community organizations, including Delta Kappa Gamma, Three Arts Club, Women’s Civic Club, Judson Alumnae Association, and various charities. Jeannine’s love of music began when she was a piano student at the Birmingham Conservatory of Music. Over the years, she often played for Sunday school classes and the local nursing homes. A member of Siloam Baptist Church since 1958, Jeannine taught Sunday school and participated in the choir. After retiring, she collected and sold antiques as a hobby. She and James also enjoyed traveling, including several cruises and trips to Europe. Jeannine was preceded in death by her parents, her sister Dana Cooley Parker, and her husband James Howell Rogers Sr. She is survived by her sons Hal and Andy, niece Cathy Cook, and nephews Len Parker, David Rogers, and Stephen Rogers. At St. Wilfrid’s Episcopal Church on Thursday, February 7th, there will be visitation at 12:00 p.m. and a service at 1:00 officiated by Dr. Dan Thornton. Interment will follow at the Marion Cemetery. The family requests that donations be given in her memory to Judson College (Judson.edu; 302 Bibb Street, Marion, AL). To send flowers in memory of Jeannine Cooley Rogers, please visit our Heartfelt Sympathies Store. We encourage you to share your most beloved memories of Jeannine Cooley here, so that the family and other loved ones can always see it. You can upload cherished photographs, or share your favorite stories, and can even comment on those shared by others. Provide comfort for the family of Jeannine Cooley Rogers by sending flowers.